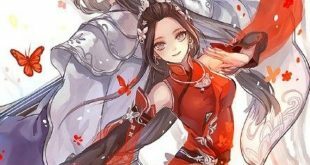 “Ga!” Looking at Mei’s smile (Star Fire actually), Qumran’s hand shook so hard that he could barely hold the Black Dragon lance. He felt as if he just saw the sun of the summer. What, what is this feeling? She was just a human, moreover, she killed him not long ago. She was his natural enemy, but why was her smile so sweet? No, not only her smile, but also her smell had also become different! “Next is to show your wealth, power and demeanor,” said Childe San Quan. He hadn’t noticed the great change in Qumran’s heart. “Pa!” Qumran brandished his lance. He didn’t need Childe San Quan to tell him anything and directly burst with enthusiasm. All right, Qumran also didn’t know where the Goodlund Kingdom was, since Childe San Quan gave him this identity and promised that it would be flawless, from now on, he was the real prince of the Goodlund Kingdom! For this, Childe San Quan even made a special card for him to show his identity and combat ability data. Strength: A. As the black demon dog prince, your strength is far stronger than other hero ranked beings. Mana: D. You don’t have any magic talent. Endurance: A+. You can fight for three days and three nights before you feel tired. Luck: E. Vey bad in every sense. Agility: B. You are as fast as wind. God Weapon: standard god weapon Black Dragon Lance, Black Obsidian Armor. Magic Resistance: B. Your strong body can let you resist most magic, not including high-level and forbidden magic. Evil God’s Shelter: You are watched by the evil god Tlahuizcalpantecuhtli. If you die, your core will be recycled by the power of the evil god. Dark Sky Fall: B. You can create a dark area that can swallow all lights. The life force of the living beings in the Dark Sky Fall will be absorbed by you and transform into your power. Shapeshifting: A. You can active your bloodline of Cerberus and transform into a strong Blood Thirsty Hunter, swallowing all lives without mercy. (Naturally, obtain all abilities of all third ranked black demon dogs). Berserk: B. You have the potential to be a Berserker. At the price of losing your mind, your strength will be greatly improved. Black Dragon Lance: a heavy lance that was made of fine gold and fine silver. It is 2 meters long with black obsidian gems engraved on it, and is able to tear open most magic shields. Because it’s too heavy, most hero ranked beings can’t use it. Black Obsidian Armor: a valuable armor that was made of the black obsidian which can block magic. It can be used by a strong knight or warrior. Because it’s made of black obsidian, the wearer can’t use any magic. Apart from luck, Qumran’s data is absolutely excellent. His power is far stronger than most hero ranked beings. After recording Qumran’s data, Childe San Quan had a completely new appraisal of Qumran. No wonder that the great evil god, Tlahuizcalpantecuhtli was willing to save him! The bloodline of Cerberus is indeed powerful! Even if he didn’t hold a weapon, the power of his body was far stronger than most hero ranked humans. This was the reason why the black demon dog race could be the principal force of the demons. Even the elf race suffered a great loss when facing them in the war. If it wasn’t because most black demon dogs’ minds weren’t clear, including their king, Cerberus also did a stupid thing that ate an evil god in the same camp, originally, the black demon dog race was entitled to obtain a higher position in the demon army. After being tidied up by Childe San Quan, Qumran’s appearance could undoubtedly win a full score in front of Hua Yue and Mei! “Prince?” Hua Yue looked up and down at Qumran. Indeed, his black obsidian armor and Black Dragon Lance were priceless treasures. Not all hero ranked beings could obtain a god weapon. In the endless god’s domains, god weapon was born from a coagulum of the power of fantasy or from the bloodline that contained the power of god. When a god weapon’s master died, not all people could inherit the god weapon. Its new master must obtain its recognition first. If a person couldn’t obtain the recognition of the god weapon, even if the person holding the god weapon in his hand, the god weapon wouldn’t be better than a common weapon. Apart from a few successors who had been recognized by the god weapon’s previous master, or the children of the god weapon’s previous master, it was difficult to obtain the recognition of a real god weapon. According to the statistics of the endless god’s domain, over 99% hero ranked beings didn’t have a suitable god weapon. 70% of them could only use a standard god weapon, and have to try their best to make their standard god weapon become a real god weapon. Most people started preparing for this even when they were still at the mortal rank. 15% of them luckily obtained the heritage of god weapon. They could use a part of the power of the god weapons, but they still needed to build the relationship with their god weapon, hoping that they could be recognized by their god weapons someday. The remaining few, were really the hero ranked people who had their own god weapons.